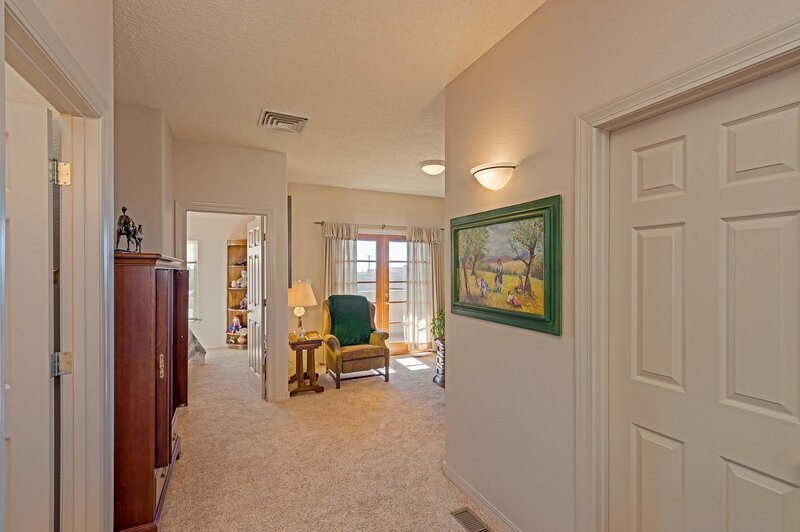 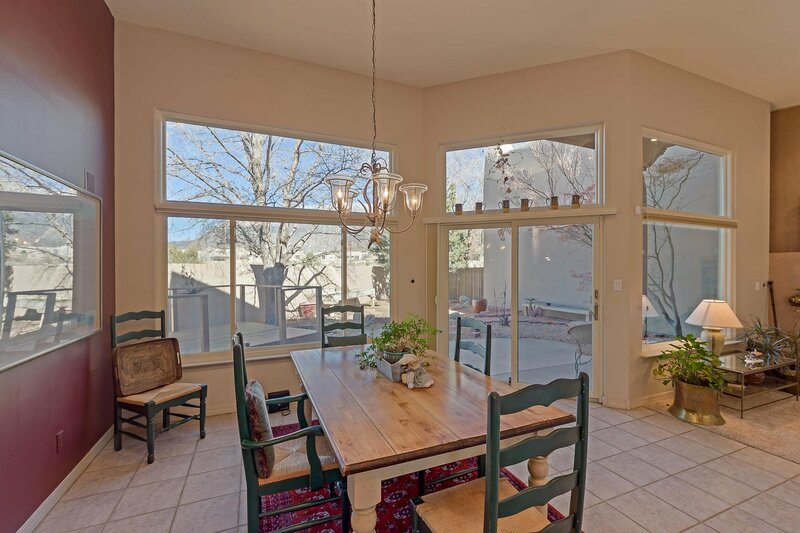 Beautiful mountain views from great room and dining room. 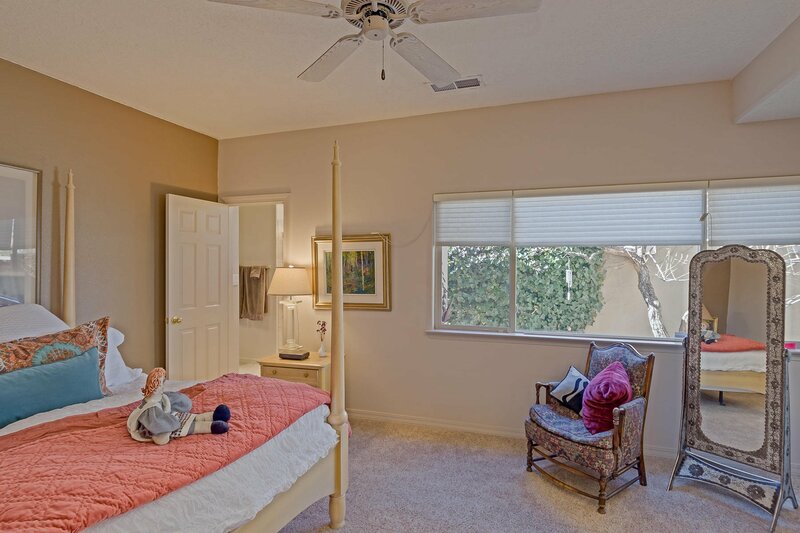 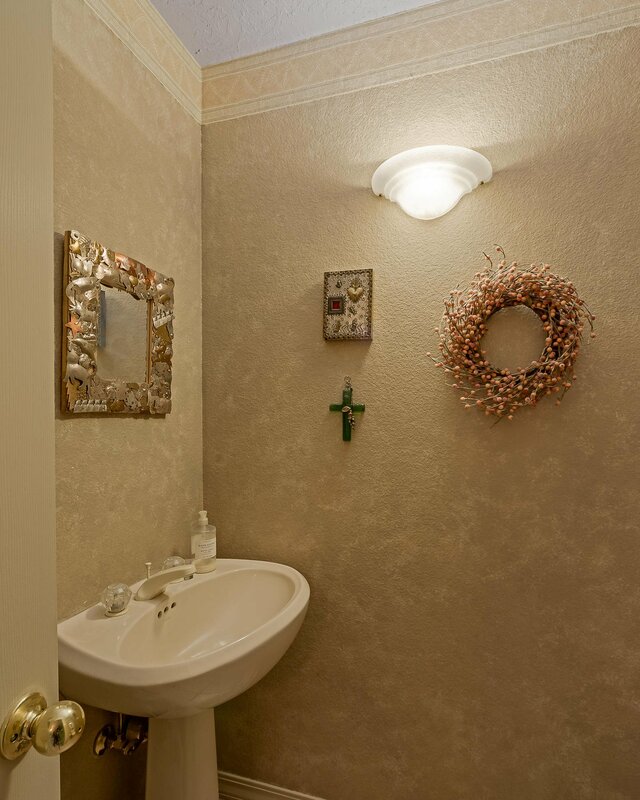 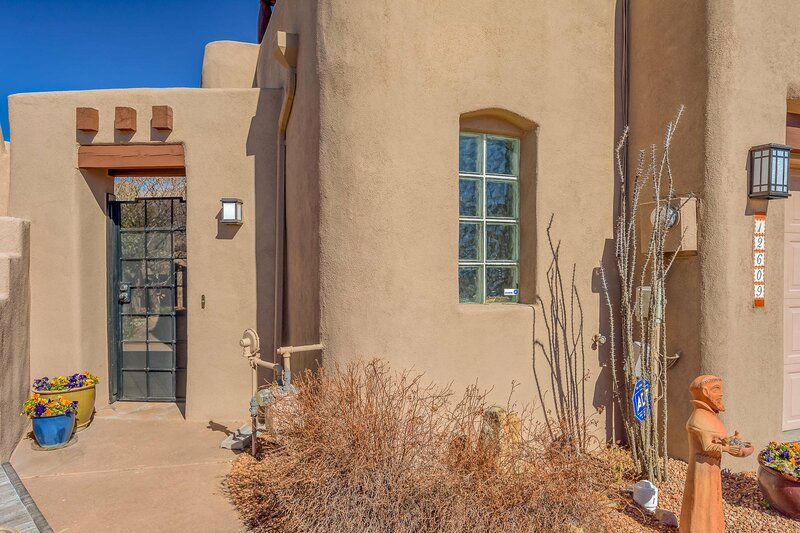 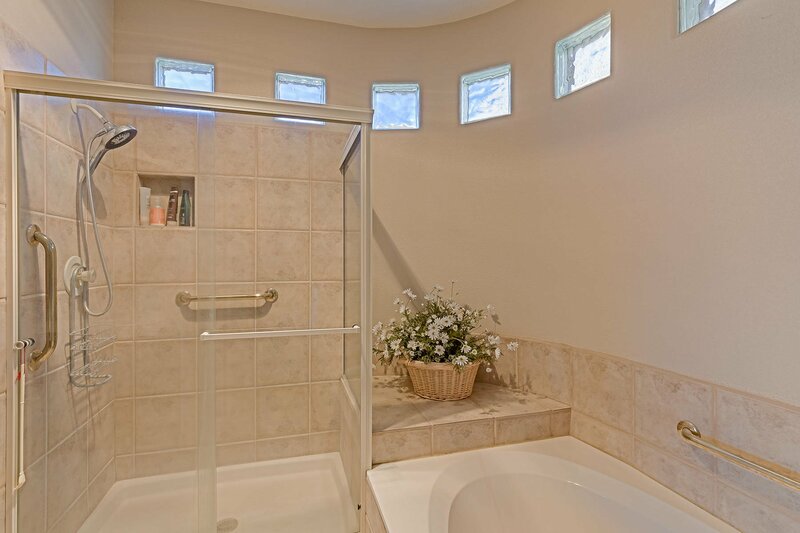 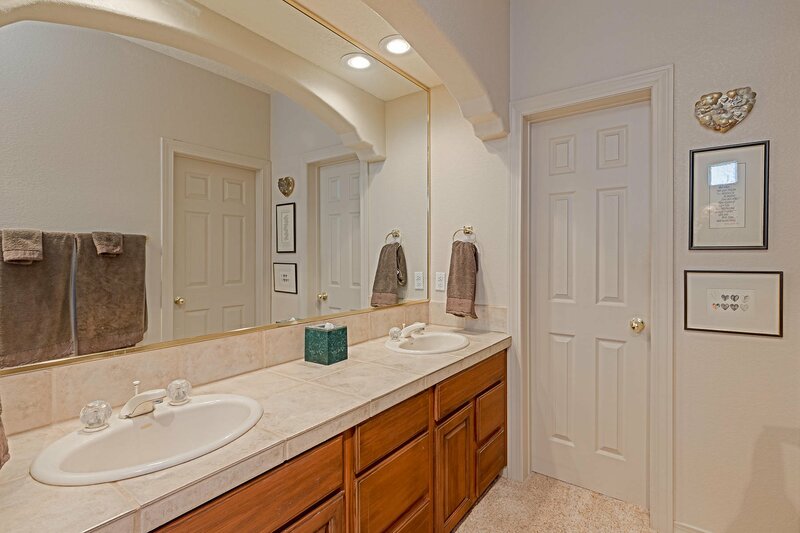 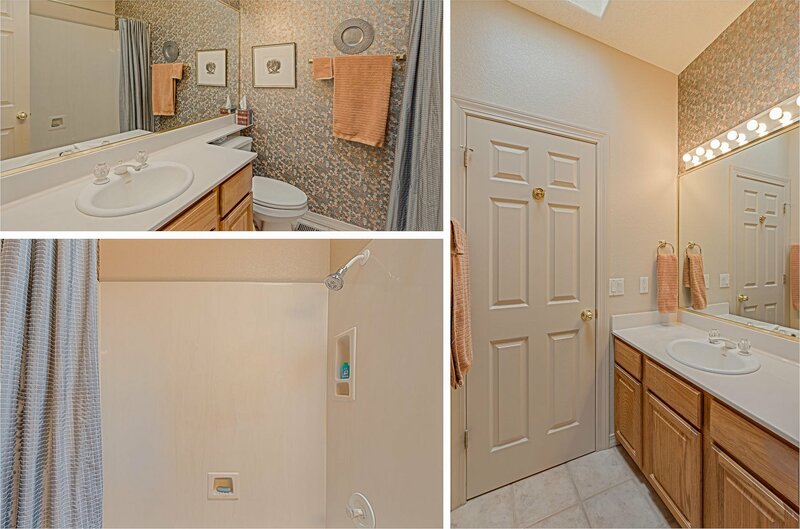 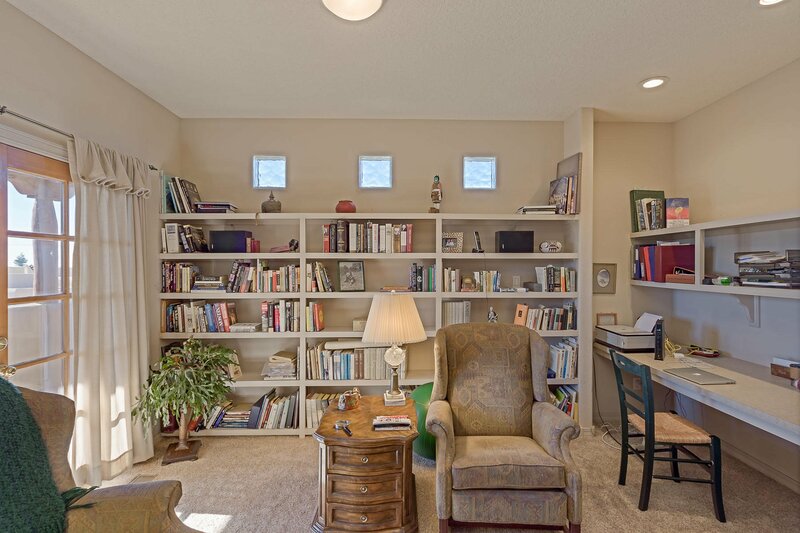 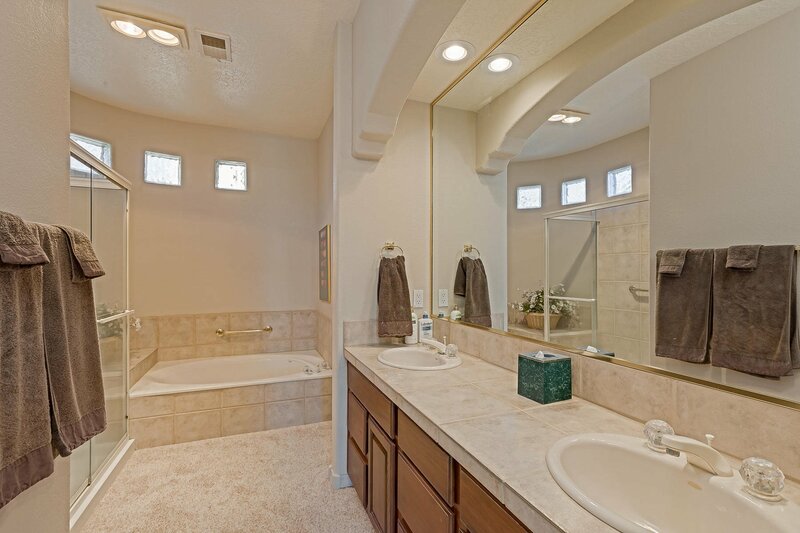 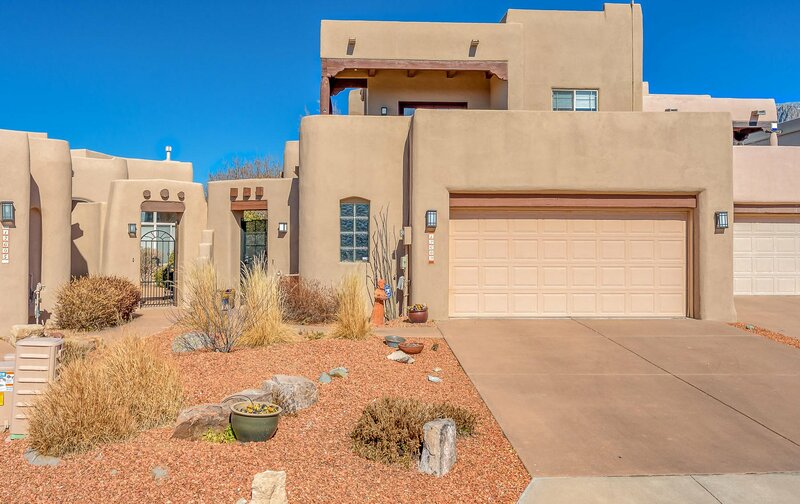 Wonderful Leslie built home with beautiful gated entry with private courtyard and oversized front doors. 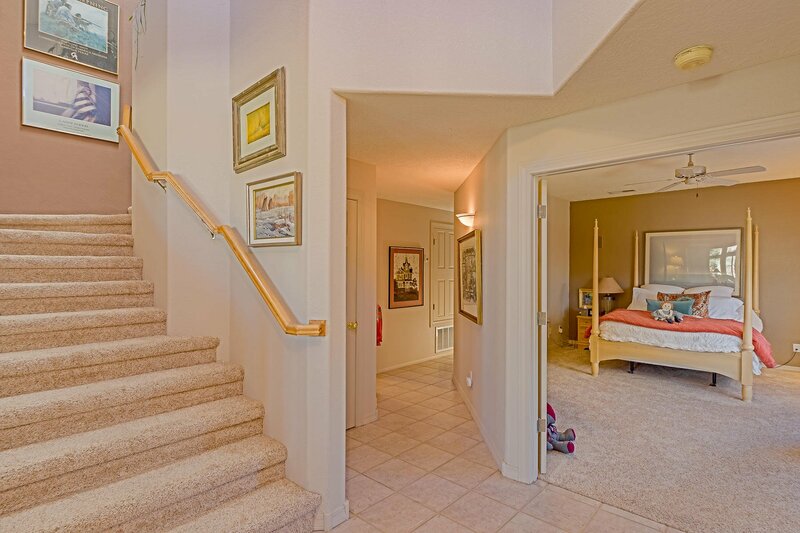 Upstairs has tons of storage, good sized second bedroom and great loft office maybe third bedroom area. 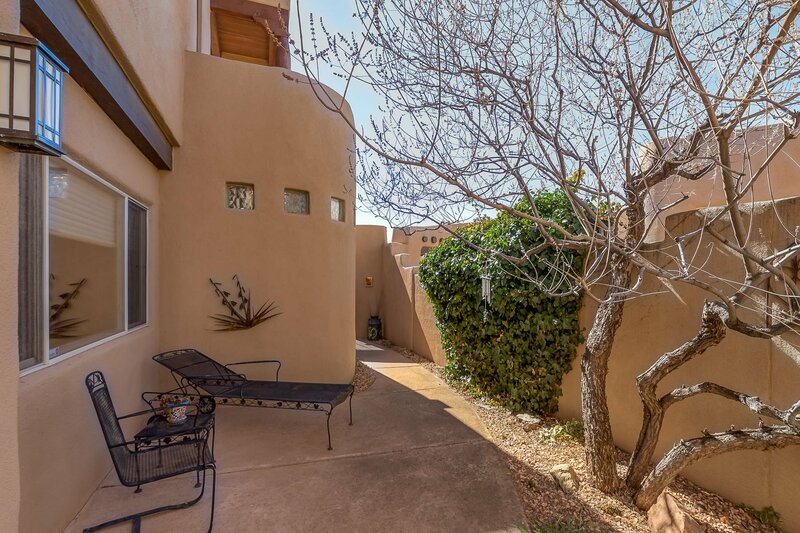 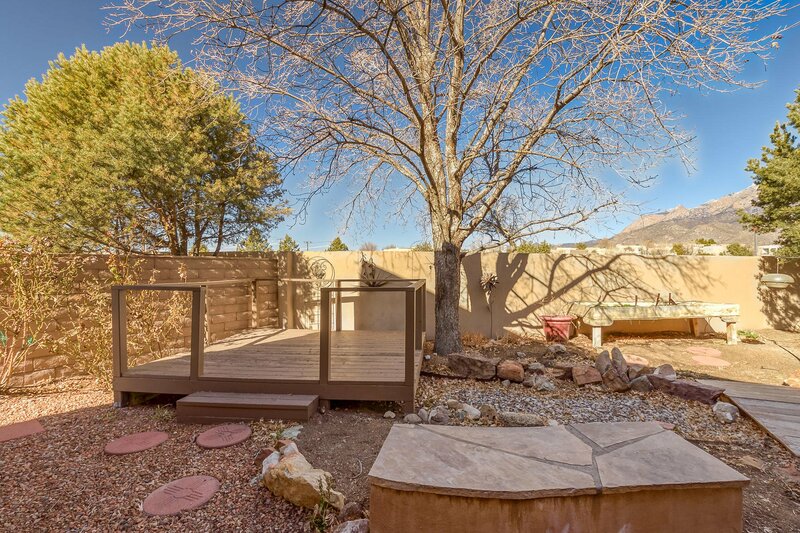 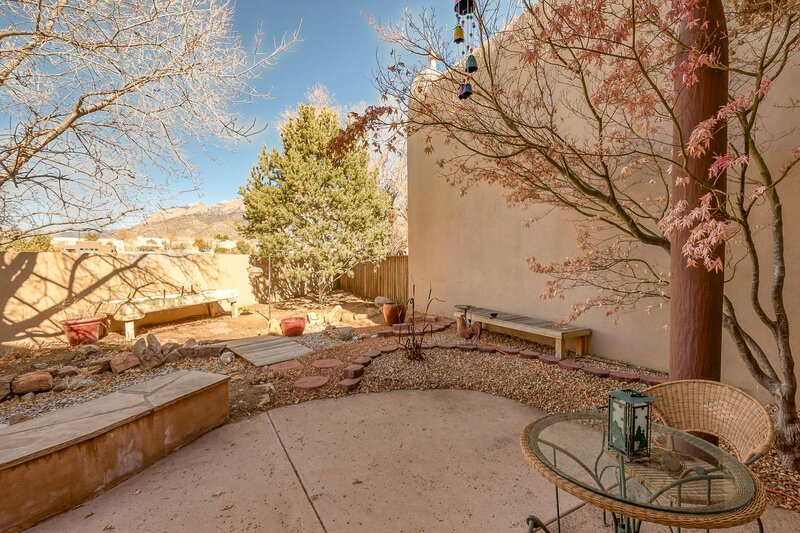 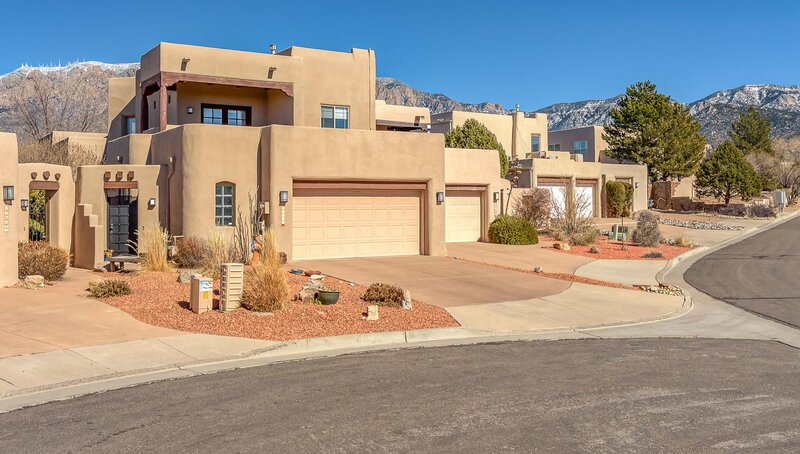 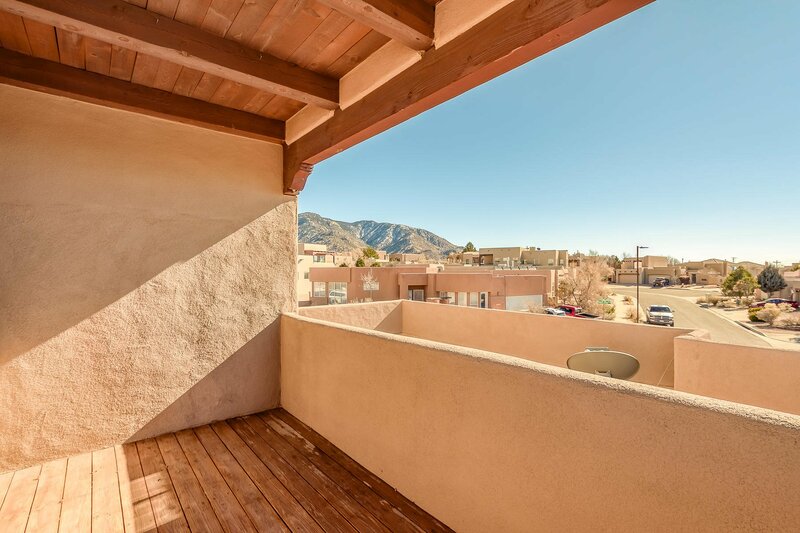 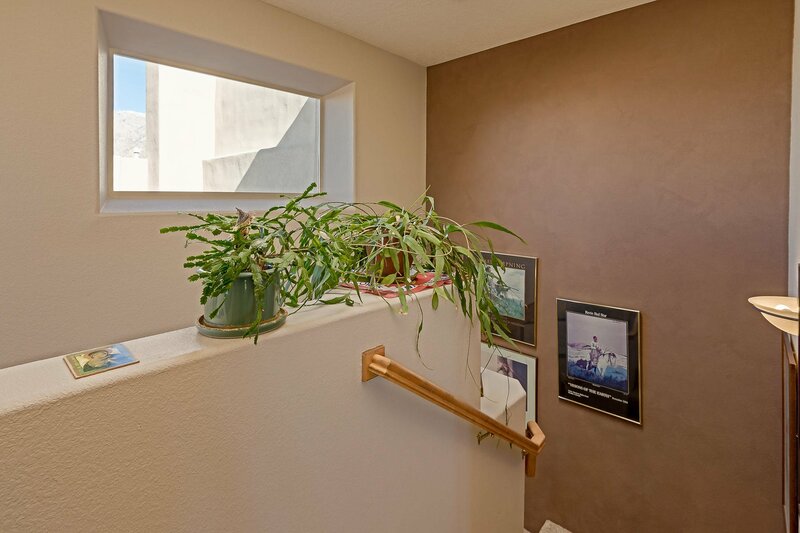 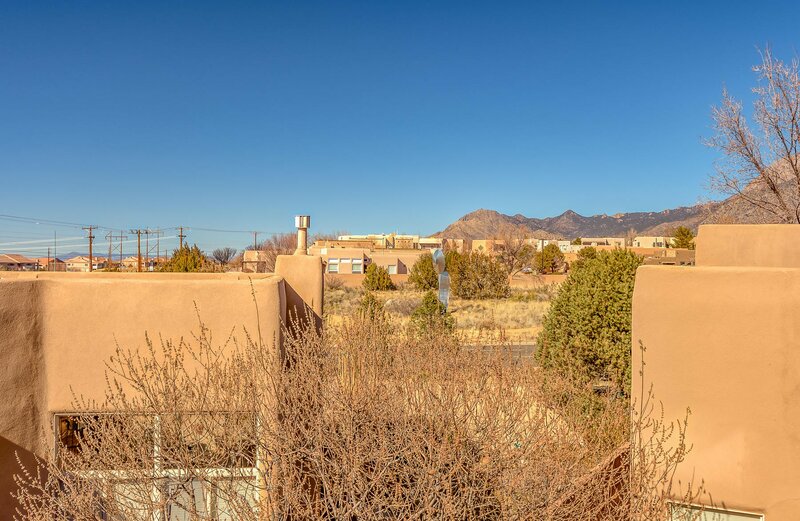 Private decks show off the amazing sunsets and glorious Sandias. 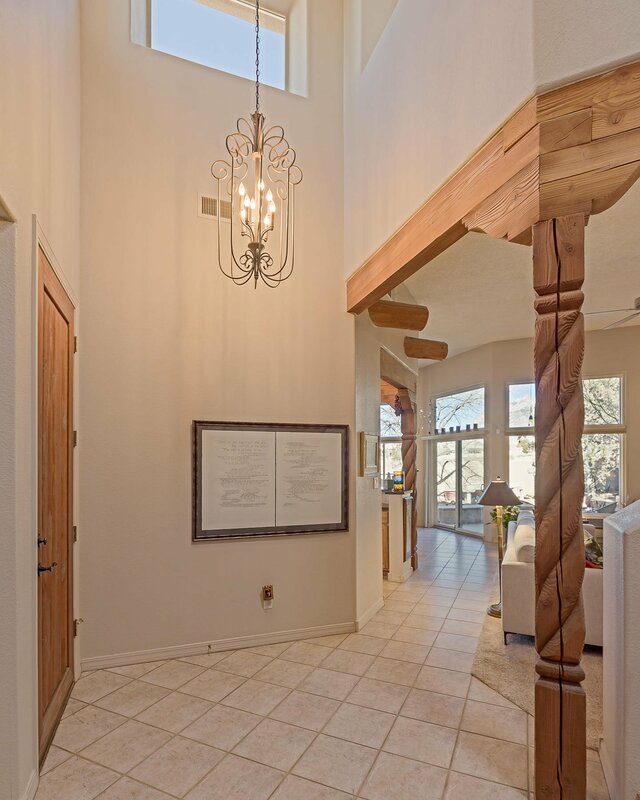 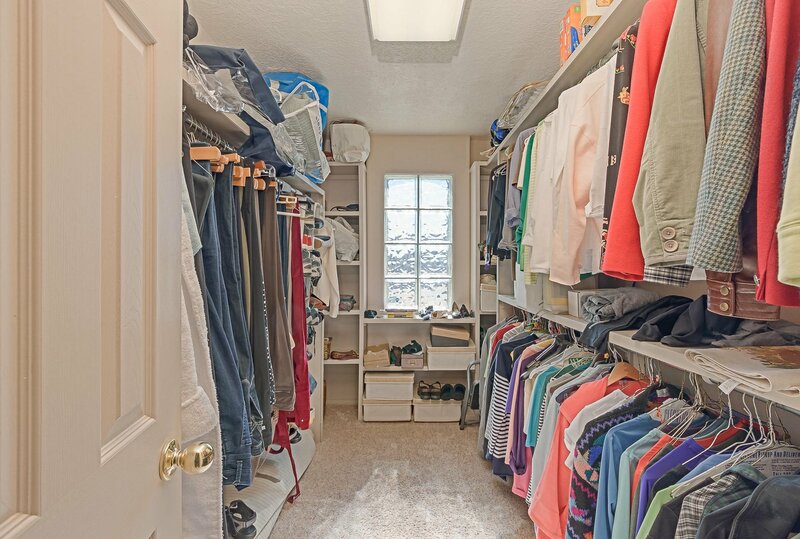 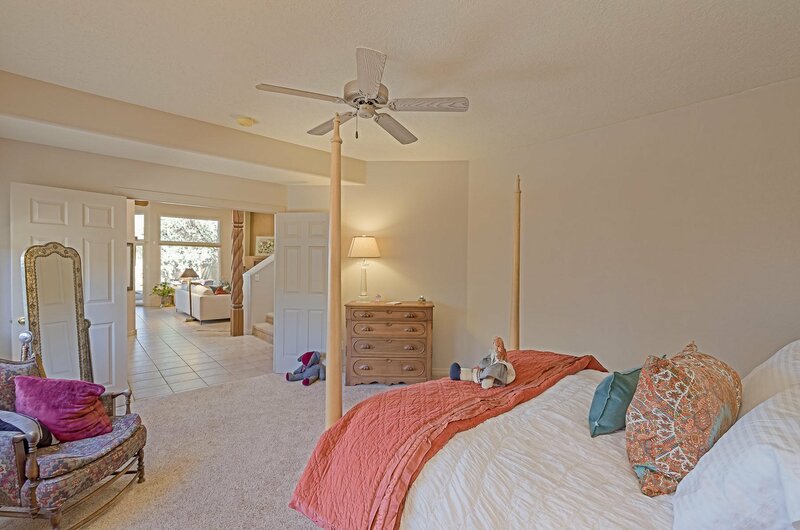 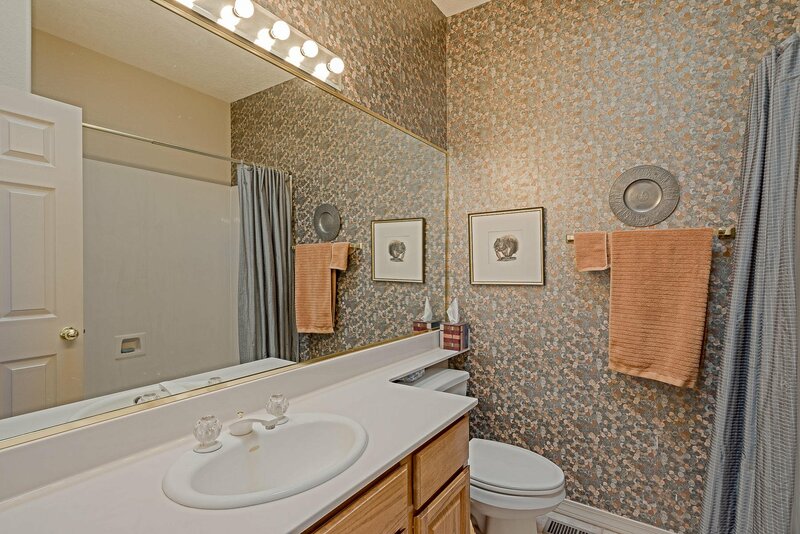 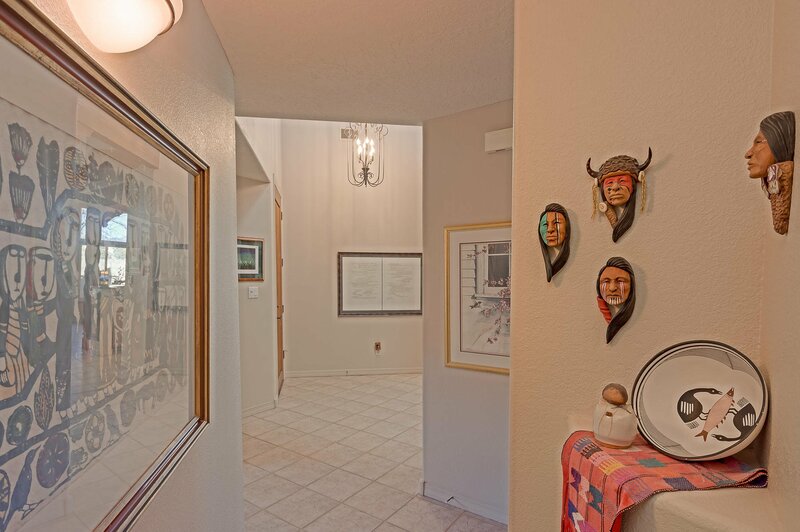 You enter into a open floor plan with master bedroom with ensuite with separate shower and jet tub and huge mater walk in closet to the right secluded by double doors, and great room open to dining room and kitchen with breakfast bar. 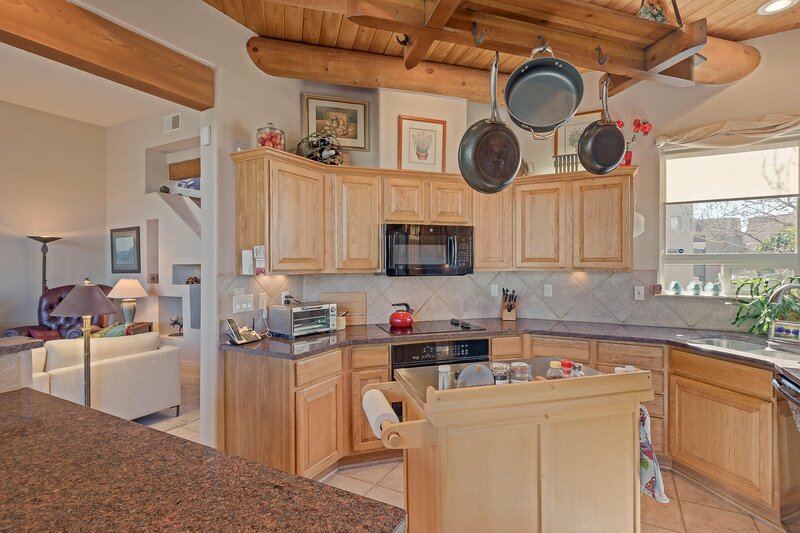 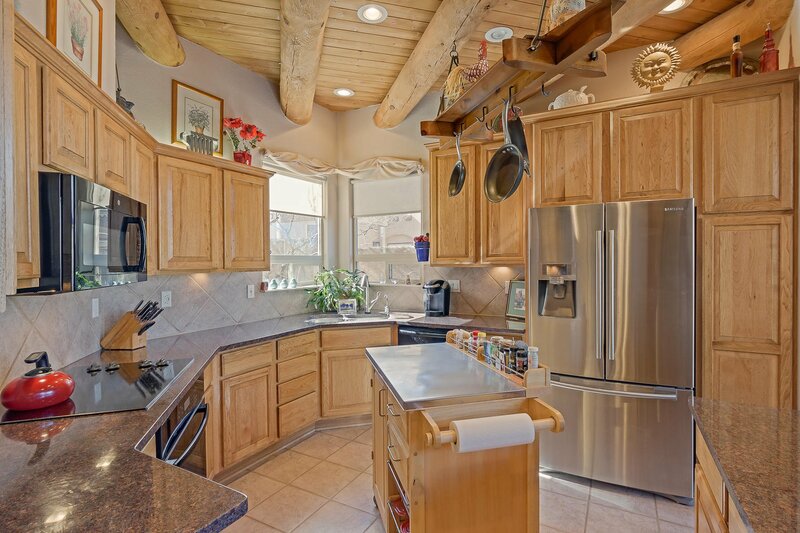 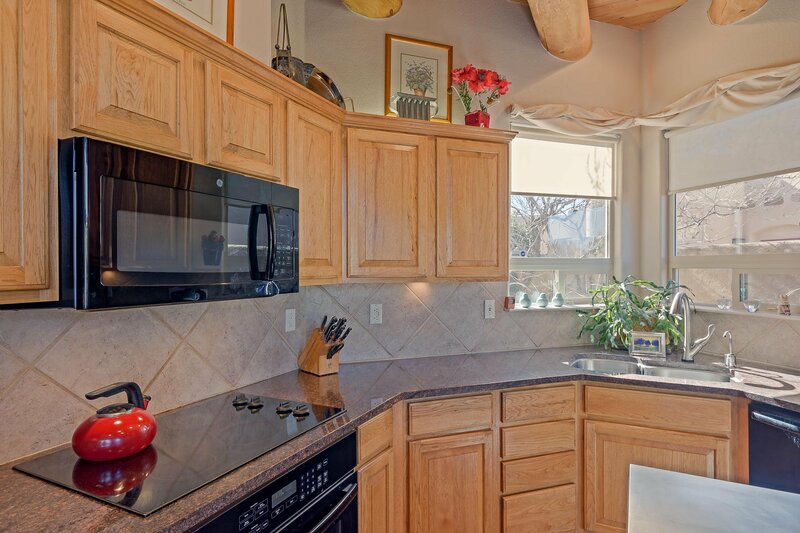 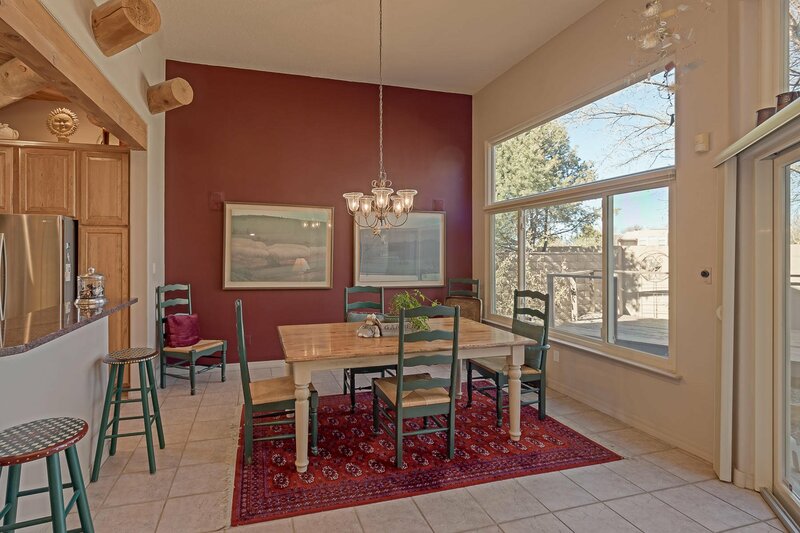 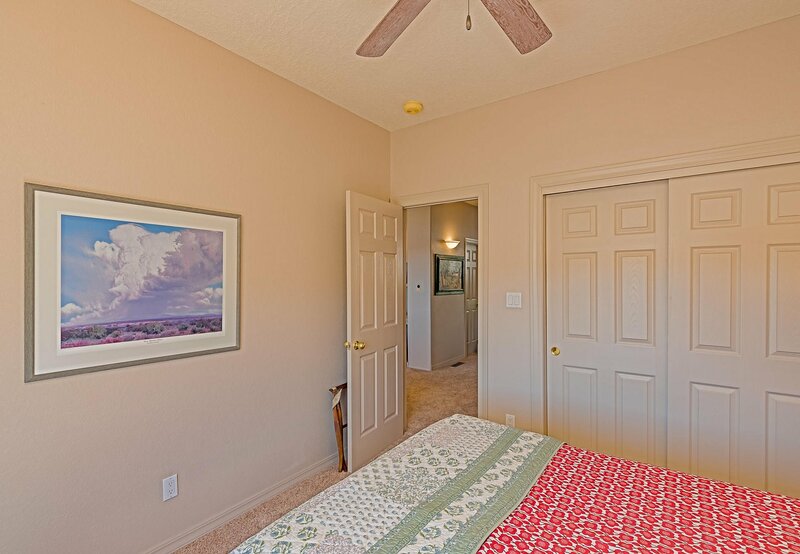 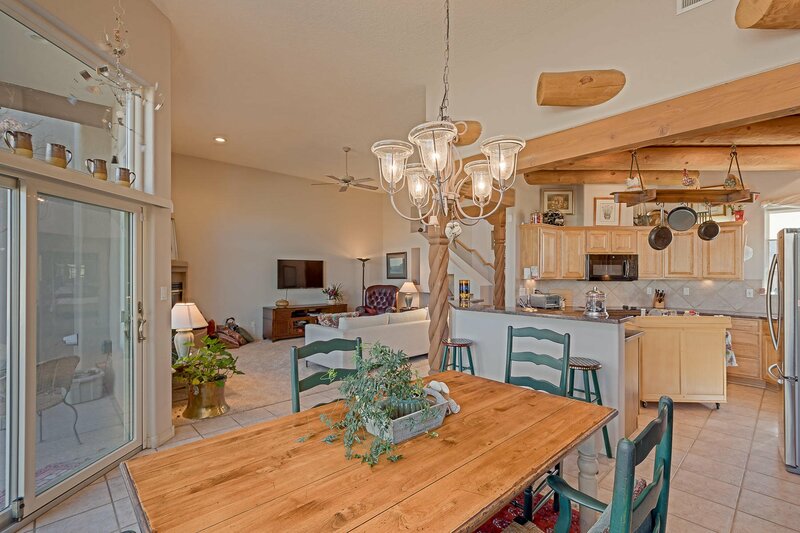 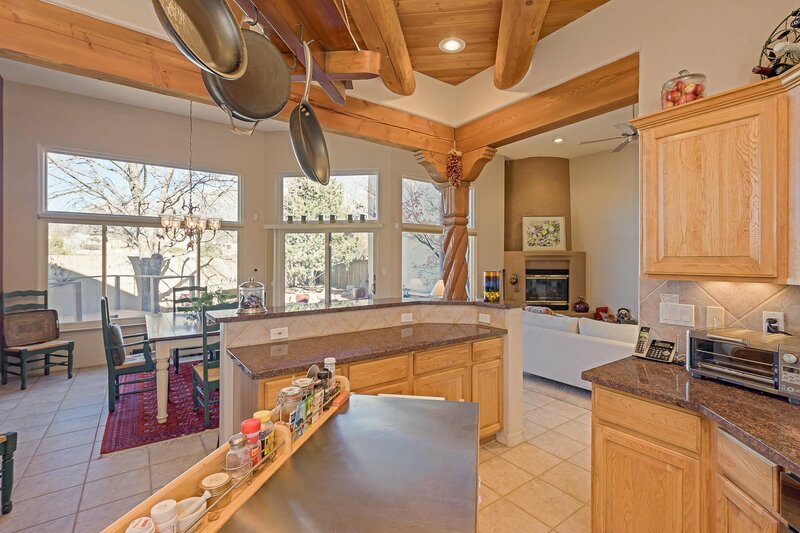 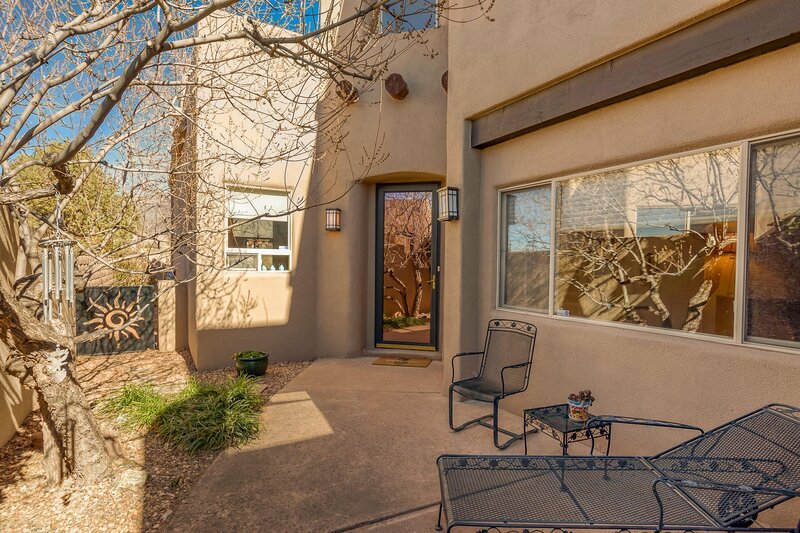 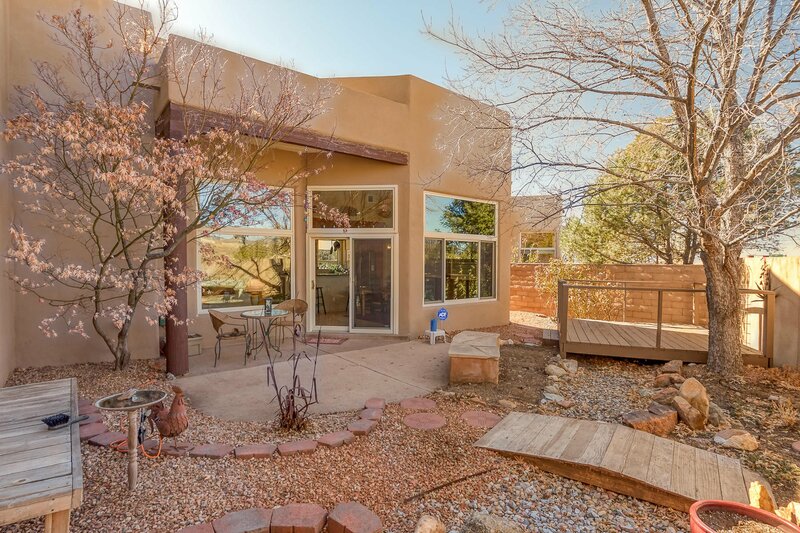 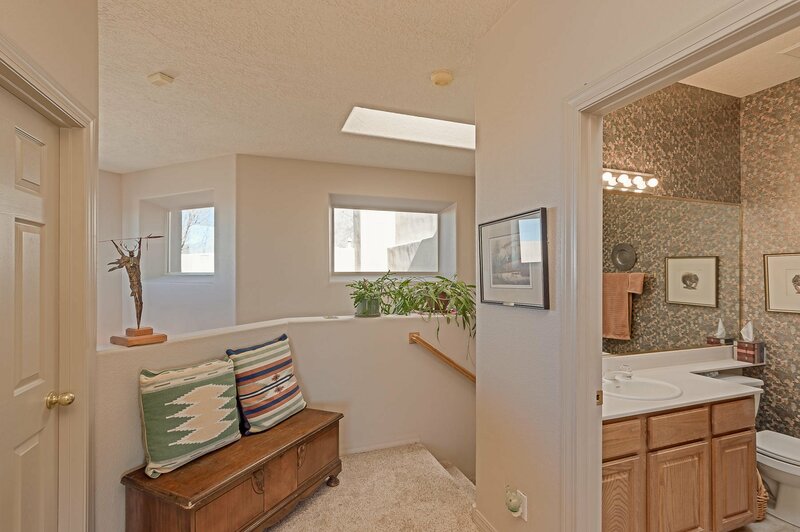 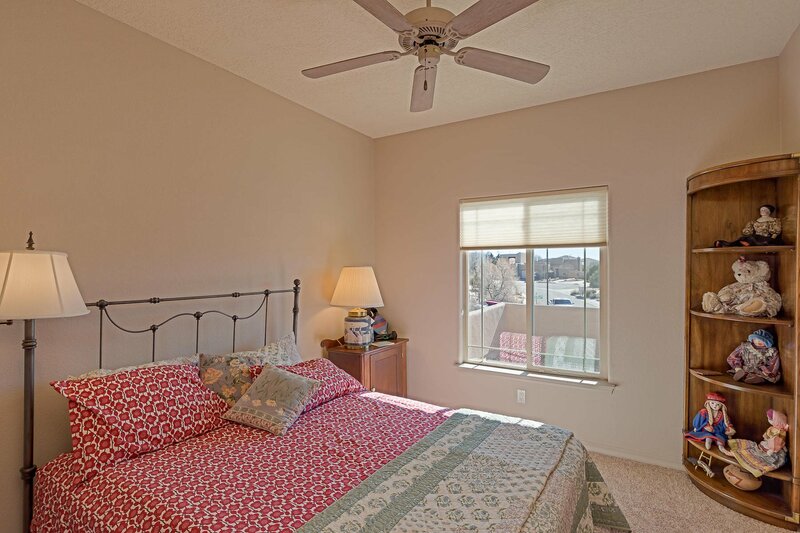 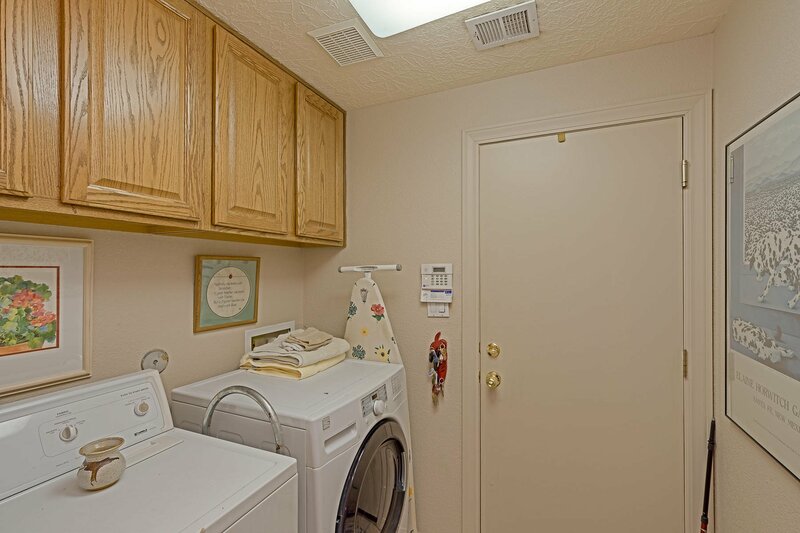 Dining opens to beautiful backyard, easy care with outstanding views of the Sandia Mountains. 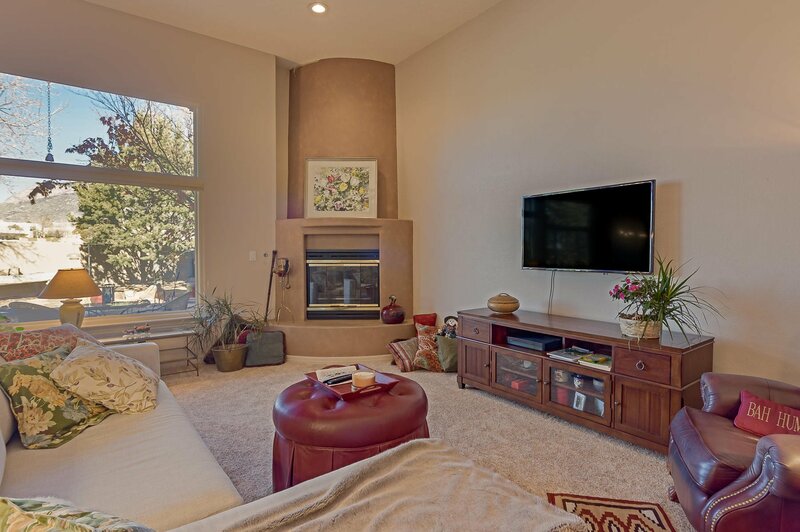 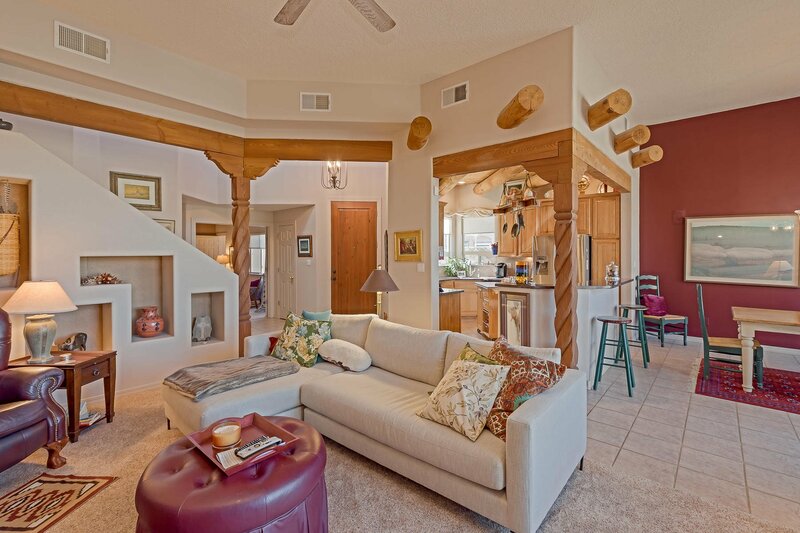 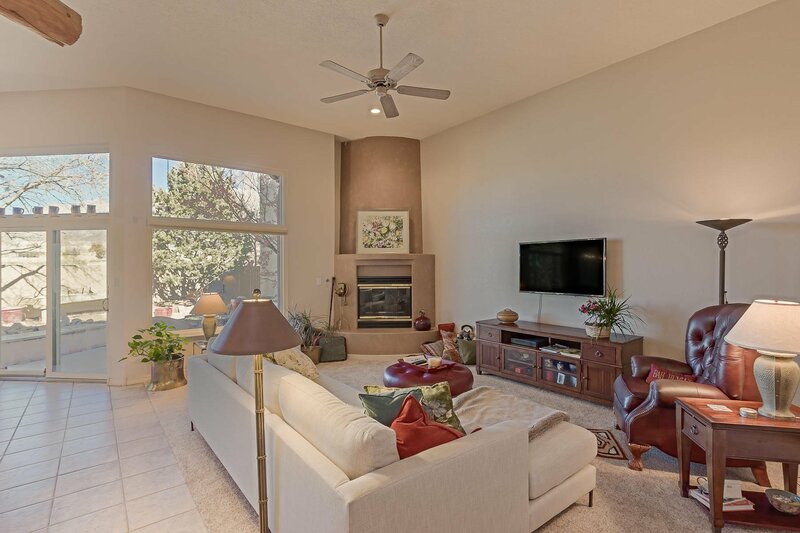 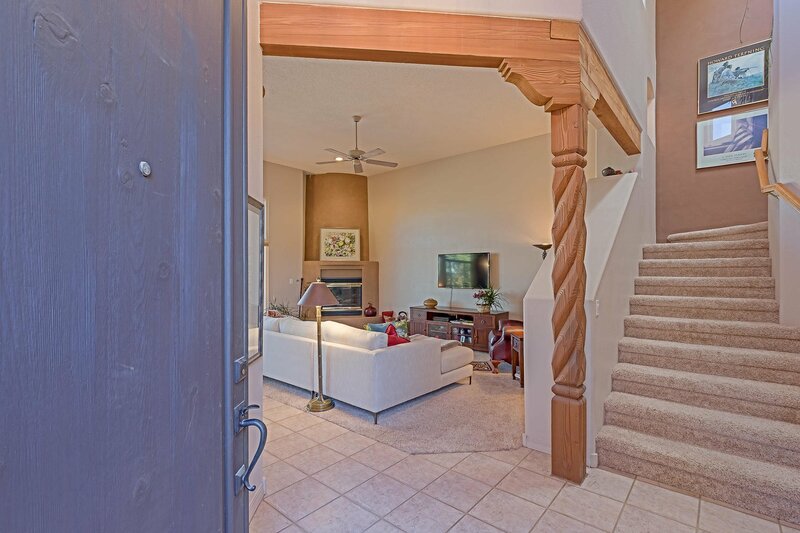 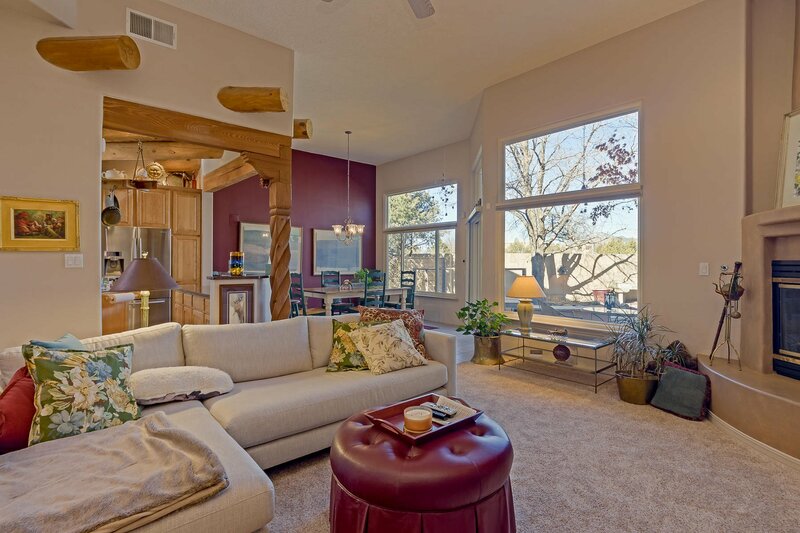 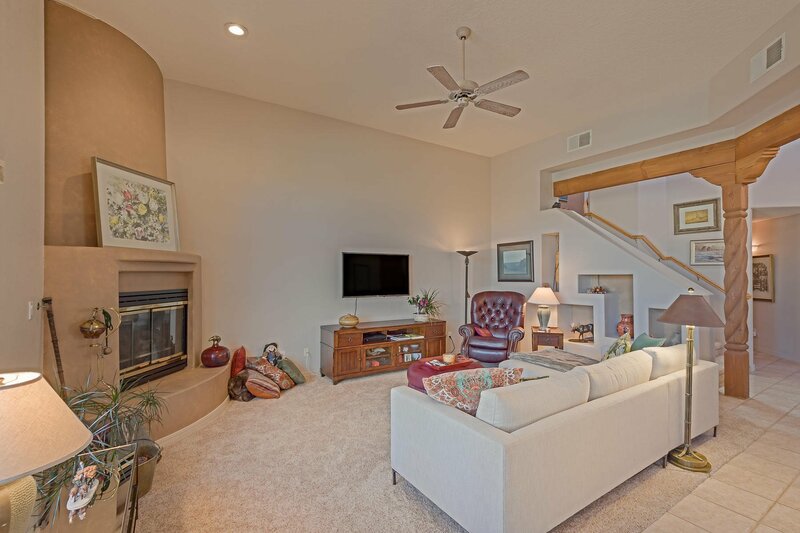 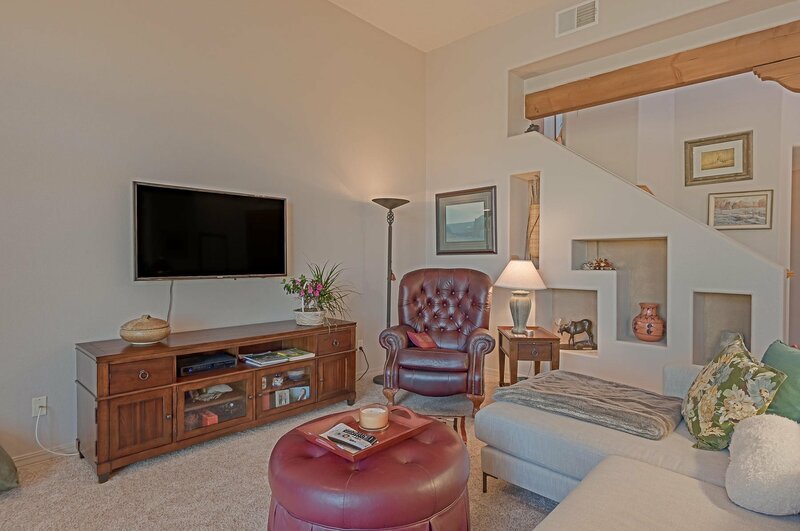 Great room has a cozy kiva fireplace and room for the entertaining with friends.